Tuesday to Friday open at 12noon. Saturday full day closure unless you arrange through the office for access after 12 noon. 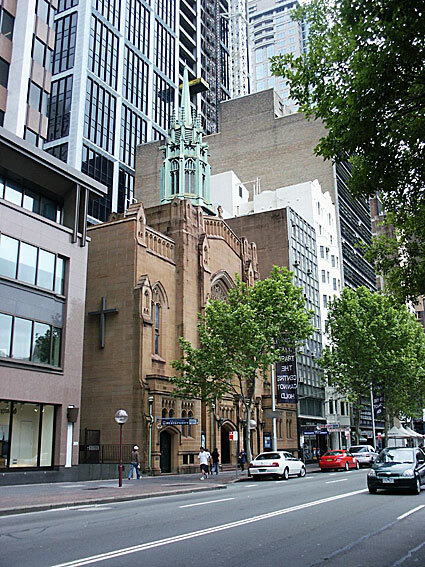 The nearest train stations are Martin Place (Exit 1 or lift) and St James. Choir, pipe organ, prayer, Bible reading and sermon. The service is about an hour long. Gospel - Jazz - Wine and bread - light meal - soul.